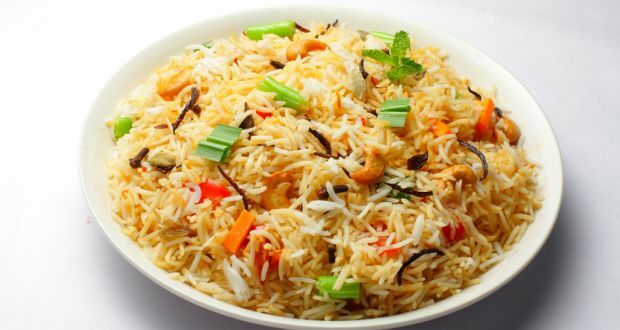 *Quantity should be measured exactly with the utensil used for measuring rice. Then add Celery/Parsley(Ajwain) in the pan. Then add tomato. Sauté it for a few seconds. Then add the leftover vegetable. Saute it for a few seconds. Add water and let it boil. Once it starts boiling, add soaked rice. Mix it well. And let the mixture start boiling. Once it starts boiling, cover the lid. Let it cook for 10-12 minutes on a slow flame. After the mentioned time, check whether rice is cooked properly or not. If it’s done, serve hot.